Beautiful home with everything you could want. Two large decks with patio furniture and table and chairs. Extremely friendly host! Spotlessly clean and a short walk to the cute town of Agios Nikolaos. 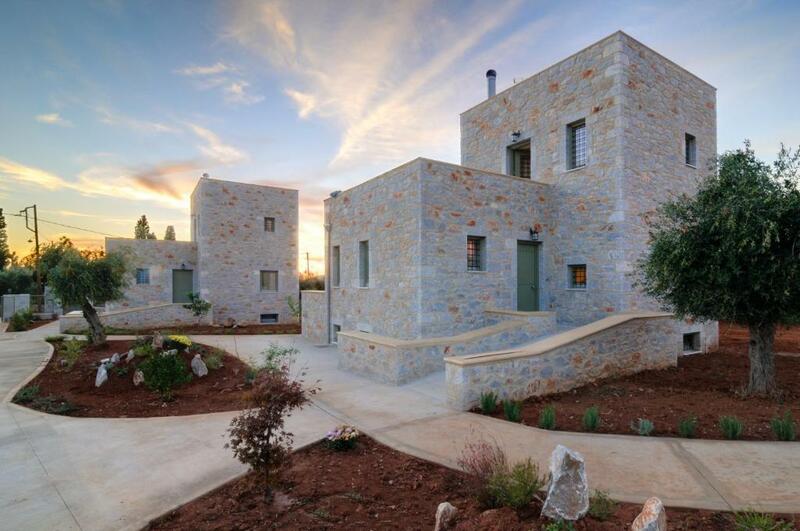 The Greek tower house charm was going full force in this amazing rental! Super cozy! And a homemade chocolate cake, that was amazing! We loved the property so much we chose to stay put rather than explore the other towns. We cooked each evening, made appetizers and sat on the upper balcony to watch the excellent sunset. It truly is the perfect location and dwelling. We had a great stay. Olga and Vasilis couldn't have been more accommodating. My partner and I were travelling with our 8 month old daughter who was provided with everything we could need (cot, high chair, pram, bath, toys, etc). The facilities are terrific, the setting incredibly picturesque and Agios Nikolaos is a charming and fun village with excellent tavernas and good beach options v close by and a little further afield (I'd recommend having a hire car to explore the beautiful Mani coast). Very well equipped house, located in a very nice village. The house is maintained very well and the owner keep it as new. Very comfortable stay in a beautiful house with great views from terrace. We were greeted with cakes and iced tea on arrival. There was also water and juices in the fridge. 2 minutes walk to the restaurants. Very peaceful and relaxing. 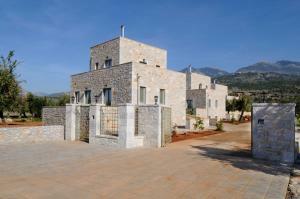 Nikoloudi Estate lays at a walking distance of a small village at the sea with nice taverna's and shops. Upon arrival we were very friendly welcomed by the owner who gave us a full tour through the house and baked a delicious cake. The house itself is spacious, clean and decorated with country style furniture and colours. The owners will do everything to make your stay more than pleasant and you really feel part of their family. It was a wonderfull stay and we will do it over and over again whenever we are in the neighbourhood. Thank you all so much for making our stay unforgettable, for the nice conversations and all the home made cookies and cake. Very comfortable and luxurious accomodation, Clean and well organized. 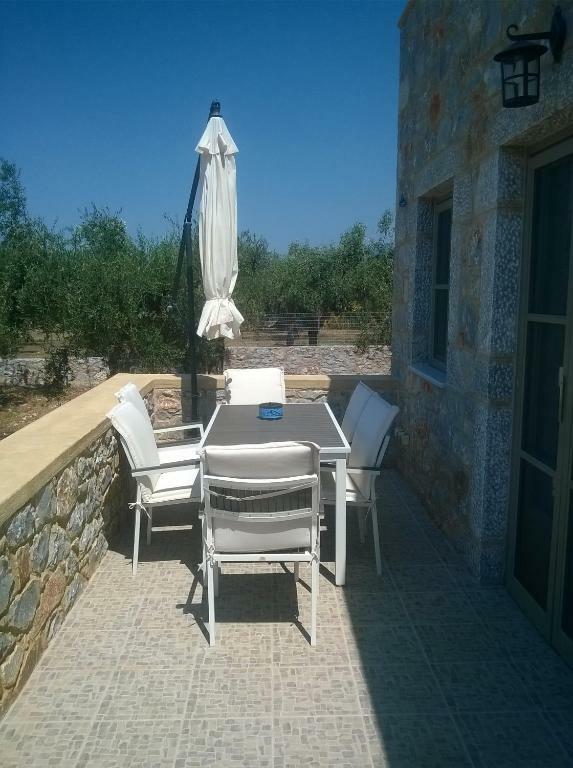 Very well located, only a couple of minutes to the sea and to nearby restaurants etc. Kitchen was well equiped and contained everything we needed. Communication with very helpful and hospitable hosts was easy and uncomplicated. 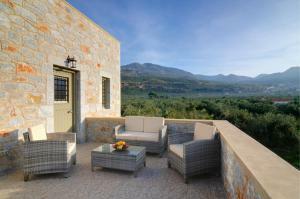 Lock in a great price for Nikoloudi Estate – rated 9.9 by recent guests! One of our top picks in Agios Nikolaos – and a guest favorite. 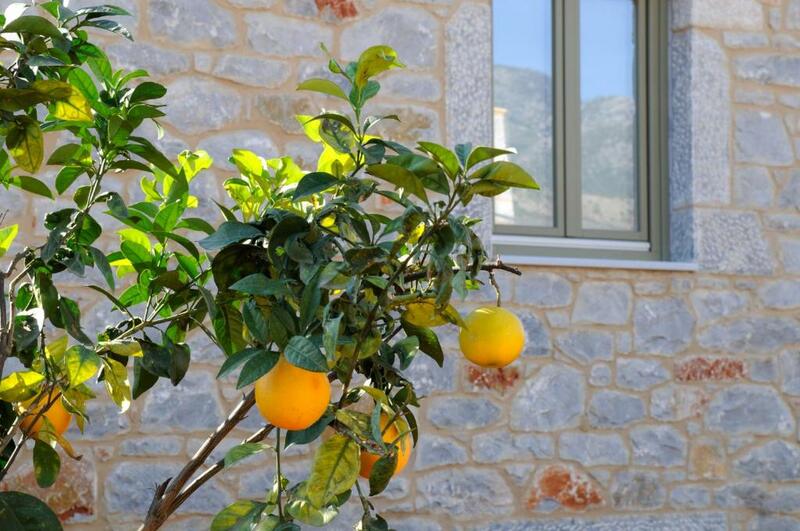 Nikoloudi Estate is located in Agios Nikolaos and provides air-conditioned accommodations with free WiFi, as well as access to a grill. Each unit comes with a sofa, a seating area, a flat-screen TV with satellite channels, a well-fitted kitchen and a private bathroom with bath. A dishwasher, an oven and microwave are also featured, as well as a coffee machine and an electric tea pot. The vacation home has a terrace. Kalamata is 29 miles from Nikoloudi Estate. The nearest airport is Kalamata Captain Vassilis Constantakopoulos Airport, 37 miles from the accommodation. This property also has one of the top-rated locations in Agios Nikolaos! Guests are happier about it compared to other properties in the area. This property is also rated for the best value in Agios Nikolaos! Guests are getting more for their money when compared to other properties in this city. 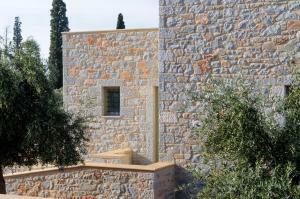 When would you like to stay at Nikoloudi Estate? This holiday home has a balcony, fireplace and kitchenware. 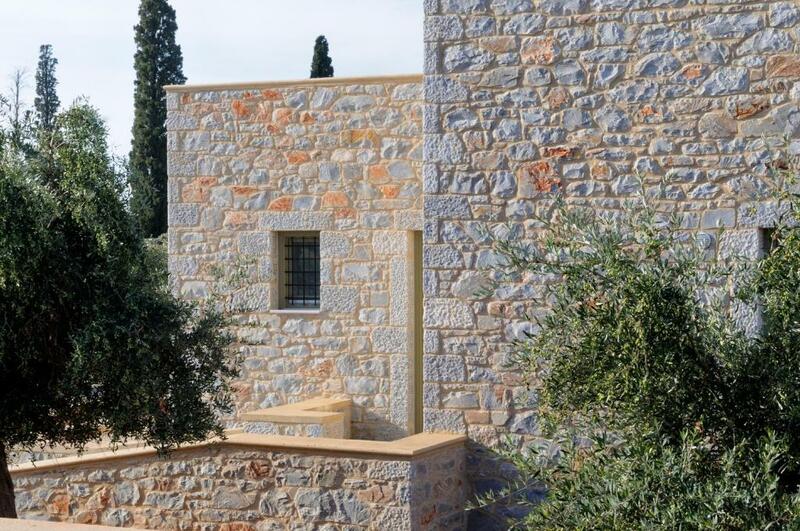 In an old olive grove near the picturesque fishing village of Aghios Nikolaos, we have built three detached stone villas, made with love, passion and respect for the traditional architecture of Mani. Our purpose was to built a place, where anyone would come for the first time and then return because of the way he / she would feel. A feeling that your are home, you know that you will have a great time. Dytiki Mani (South Mani) is a place that combines everything someone may like or need. Mountain next to the sea, relaxing vacation and night life, chance to be alone or with many people together. 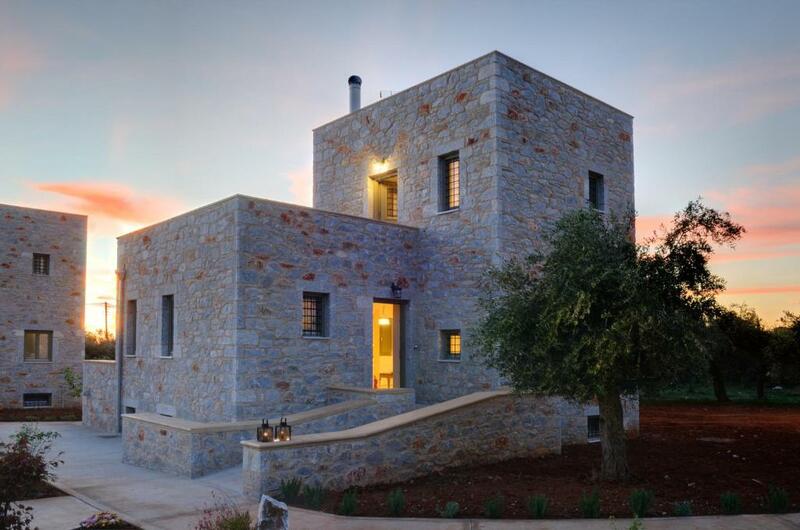 House Rules Nikoloudi Estate takes special requests – add in the next step! Nikoloudi Estate accepts these cards and reserves the right to temporarily hold an amount prior to arrival. Please inform Nikoloudi Estate of your expected arrival time in advance. You can use the Special Requests box when booking, or contact the property directly using the contact details in your confirmation. Beautiful house, nicely decorated, clean and very comfortable with a great roof terrace with amazing views over the sea and the mountains. Tota, the host is a wonderful lady, who welcomed us with homemade chocolate cake and icetea. Perfect location, quiet, but just a short walk to the cosy centre of Agios Nikolaos and close to the nice beaches. Great value for money. nothing, except of end of vacation, waiting another summer :) ...pool and bidet ;-P Very miss !!! ;) Thank You! Our holiday started with a wonderful culinary compliment from the hostess: light snacks, refreshing lemonade and an air cake waited for us in the fridge on arrival (by the way - also on the end of vacation!). It was not a settlement, but as if returning home, everything is so cozy and understandably furnished in the villa, comfortable and nice, like at home! The terrace of the ground floor is ideal for breakfast with the whole family. On the terrace of the second floor you can see off the sunset with a bottle of fine wine, or just relaxing and chilling. By the way, the villa is very conveniently located: in 5 minutes walk all the main restaurants of the village. Around was a choice of several beaches - from gentle sandy to wild with large pebbles. Two weeks passed like one day. The hospitality of the owners of the villa (Vasilis and Olga), their attention to the guests, their love for the little things will not leave you indifferent and leave you will be real friends. And thanks them for a wonderful dinner at taverna! 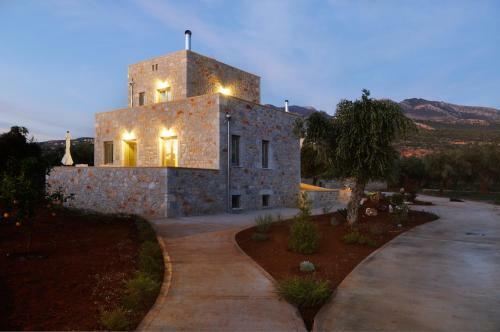 We will definitely return to Nikoloudi Estate! Thank You! Nothing could have made the stay any better. We regret not booking the estate for a longer time. We were in Greece for a friend's wedding. We knew it would be a traditional celebration and so asked Olga and Vasilis if there was anything we should know in advance. They provided us with a beautifully wrapped tray of cakes to take along to the party. Perfect! This was in addition to the delicious welcome basket of fruit, groceries and chocolate cake (yum!) that was waiting for us in the villa. Thank you both so much! The wedding celebrations were enormous fun and food, especially our diples, were a very big part of it! It was an amazing accommodation. This property is furnished as a home and not a holiday let. The quality of the furniture and fittings are outstanding, as is the cleanliness. Other guests mention the comfy bed, quality of bedding and towels and I can only echo that they were of the highest standard. The family are so welcoming, helpful and caring. The chocolate cake made by Tota was just delicious. A marvellous place and I am already trying to work out a way to have another stay there sooner rather than later.